Natural resource management and public lands agencies/organizations are encouraged to submit an application by June 21, 2017 to receive a VetsWork intern at their site beginning February/March, 2018. What is the VetsWork AmeriCorps Program? Mt. Adams Institute continues to grow with the recent hiring of Marijke Riddering Weaver as the Program Coordinator for the VetsWork GreenCorps and Public Lands Stewards Programs. Marijke brings a wealth of experience to the organization. She has a degree in Natural Resource Management as well as Outdoor Education and Leadership. She spent over 10 years working in the field as a teacher, outdoor instructor, Student Affairs Manager, and wilderness guide across the United states and abroad. Marijke also spent years working as a social worker in Portland supporting runaway and homeless youth. Marijke will incorporate her love of the natural world and experience supporting people taking on new life challenges into her new position with Mt. Adams Institute. Please help us welcome Marijke to the team! I am originally from Indiana and have spent the past 5 years living in Georgia. Growing up I played almost every sport that was offered. I graduated from Indiana University with a degree in Political Science and am currently working towards my Master’s Degree in Public Policy. I joined the Navy to be a linguist and spent 5 years working at the National Security Agency in Georgia. I enjoy exploring the outdoors especially through running, mainly mountain and ultra-running. I basically love spending long days in the mountains exploring new places. I decided to join the VetsWork AmeriCorps program to get my foot in the door in a field that deals with environmental and natural resources issues. It will afford me the opportunity to gain experience in a field that seemed to be difficult to otherwise break into. 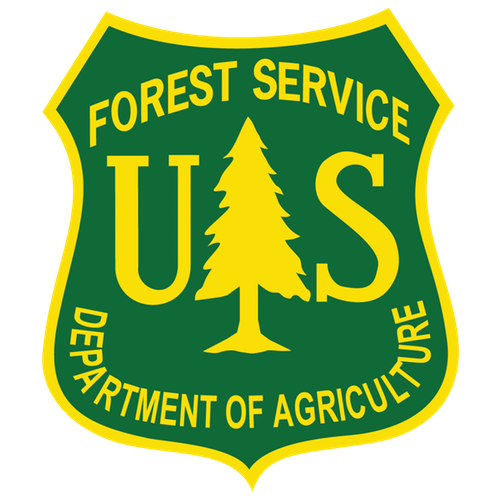 I will be serving as a Writer Analyst Intern for the Wallowa-Whitman National Forest. I look forward to getting to understand how the National Environmental Policy Act (NEPA) and the Forest Service interact in land management issues. And also to see how competing interests are balanced against each other. Mt. Adams Institute staff will be doing the snow dance all weekend long — January 31-February 2. Come check out our small town’s response to being cooped up all winter with no snow to enjoy. What’s missing in the civilian workforce that our military veterans have come to depend upon? What rescued her was a stint with AmeriCorps, the federal community service organization, which gave her a job that led to full-time employment with a national nonprofit. AmeriCorps offered my friend three crucial things: a new mission, a new purpose, and a strong, supportive social network in which people were actually invested in one another’s well-being and success. This article from the Business Insider suggests that a significant element missing from the civilian world for transitioning military veterans is the sense of social connection in all aspects of everyday life. Where once there was a defining team ethic; where every action of an individual impacted the welfare of the entire team, now individualism and independence are the norm. What we think of as teamwork or collaboration on specific projects seems anti-social next to the intense interconnectedness of a military squad. This insightful perspective gives a focus for constructing an effective transition from the military culture to the civilian workforce culture. Individual service men and women may seek opportunities for replacing the strong social network or may be unaware of this potential missing link, but as a program designed to support this transition VetsWork intentionally incorporates this attribute within its very structure. We are an AmeriCorps program with all of the values of team and cohesion inherent in the national service model. We train as a group from the outset and throughout the year. We structure Pod meetings to maintain the group dynamic. We encourage regular connection through social media and technological strategies. We know how valuable a sense of connectedness is. If this article accurately represents the experience of our military veterans, then we know it is even more crucial for VetsWork. Read this article and let us know what you think. Look at our VetsWork information in this flyer and this brochure and see for yourself how VetsWork can support this career transition. Visit our website at www.mtadamsinstitute.com for more information. See our job listings at www.mtadamsinstitute.com/jobs.